Join the thousands of players and play this Epic card game! Play with friends and family at one table. Put your design before others do it or defeat opponents in elimination mode. The rules are so simple that even 3-year-old will understand them. Still - game is so complex that you will never play two similar matches! 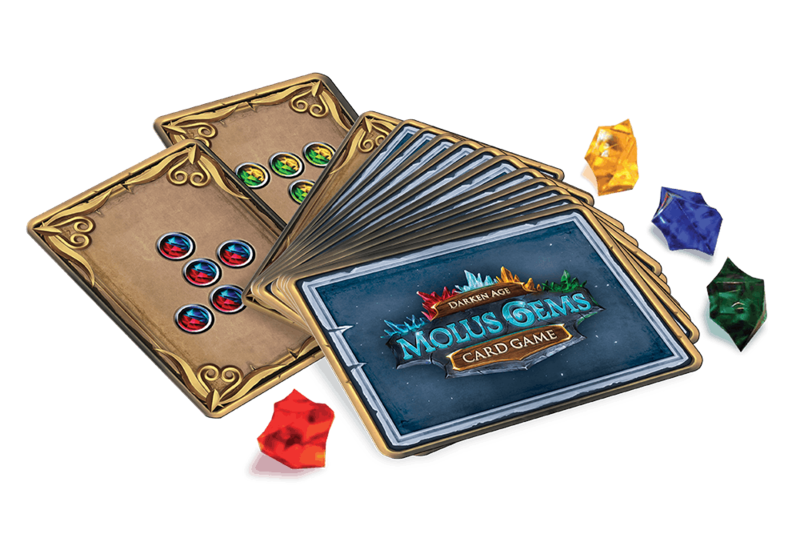 Molus Gems is an excellent game for each event and meeting with friends. You can play it even with 18 people at the same time! The perfect game for each event and meeting with friends. purse, which will allow you to take the game wherever you go! and play this Epic card game!